I loved all Caroline Mitchell’s books but OMG this is her very best so far. Emily is sitting on a secret that she literally can not move away from but her husband has taken a step that makes it impossible to cover her past anymore. It wasn’t done in malice, it was done to give them and their son a new start in Leeds, away from the small island they lived on, that was cut off from the mainland with every tide. Emily had murdered a man and he was buried in the garden. What should she do, just go along with the move, dig him up and move him or tell her unsuspecting husband? A shocking discovery is waiting for her. This is gripping heart pounding stuff. How my thoughts were flying round, I felt scared for her and she felt scared for herself! The story is told through a number of the characters as they each put their spin on the story from the past and in present day. It makes for mind-blowing thoughts as the story unfolded. This is a massively intense story with far more to worry about than what is buried in the garden. Caroline Mitchell drip fed me bits of information from the past to build up a picture of a very troubled and vulnerable character in the story. So many voices but the imagery is so clear and the characters remained solid in their own right. As I whizzed through the chapters the tension just increased with some questions answered that I didn’t like. That is what makes it really special, it gave me doubts, it made me rethink bits of the books that I had felt sure about. It made me question my judgement. If you like the edgy sort of stories, that keep you coming back to what you have just read days after ending the book then this is a belter. It is one of those that make you question what you would have done. Every time I have done that I have a different outcome. A brilliant thriller, suspense and murder mystery. Highly recommended read. 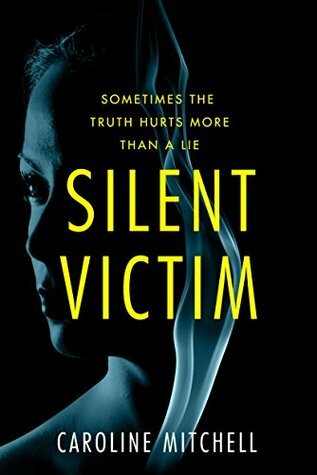 A former police detective, Caroline Mitchell uses her in-depth knowledge of police procedures to create complex and suspenseful psychological thrillers. Caroline worked in CID and specialised in roles dealing with the vulnerable victims of domestic abuse and serious sexual offences. The mental strength shown by the victims of these crimes was a constant source of inspiration. A working mother of four, Caroline started writing due to the stress of dealing with such serious incidents and a way of processing the horrific crimes she witnessed. After self-publishing her first novel, Caroline became committed to pursuing writing as a profession and has never looked back, publishing 10 books in 3 years, and she now writes full time. I can tell from your review that this is one amazing thriller. I like the praise that this book has gotten too. I hope suburban wives burying guys in their gardens isn’t a trend lol. Fab review! I like hearing it was this gripping, I think I’d enjoy this one as well!